Rick Bray, a second generation fisherman, has been fishing since 1968. 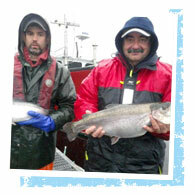 Rick has netted flavorful sockeye salmon for Harris Teeter on the Coghill River in Alaska. His boat is named Katie Jo. 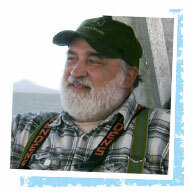 Pete Hannah has been fishing the Alaska waters of Kodiak Alaska more than 30 years. Pete and his family leave the small town of Kodiak every spring and travel over 150 miles to their remote summer home and fish for salmon, halibut, dungeness crab and cod fish. Pete plans on passing on his fishing business to his kids when they’re older. Randy Johnson has been fishing in Alaska since his teens. 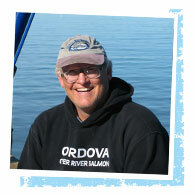 He fishes salmon in Kenai and Copper River, and resides in Cordova. 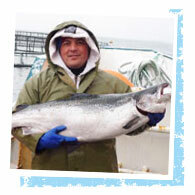 He is proud to bring the finest wild salmon in the world to people all over the USA, including Harris Teeter customers! 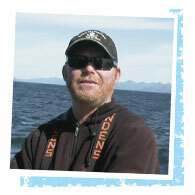 Glen Jorgensen is an Alaskan Set Net Fisherman. He has been coming to Alaska for 35 years and commercially fishing for 25 of those years. 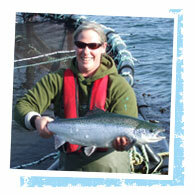 He operates two set nets to catch some of the best quality salmon in the world. Ocean Beauty Seafood processes the finest sockeye salmon in the world. Harris Teeter sources its sockeye salmon from Alitak, Kodiak Alaska for it's here that you will find the best salmon in Alaska. 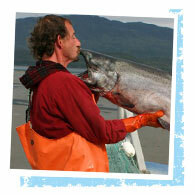 The folks at Alitak pride themselves on providing the highest quality fish you can find. 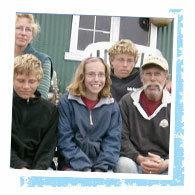 Rick Metzger and his family's roots run deep in Alaska. His father first brought him to Alaska in 1962 and he has been fishing the Alaska waters since. Rick and his two sons operate two set net sites in one of the most pristine parts of Alaska -- Kempff Bay, Kodiak Island Alaska. 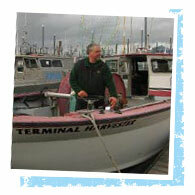 Per Nolan is the skipper of the 30 foot fishing vessel, Terminal Harvester, a gill-netter on the Copper River in Alaska. He is a third generation fisherman who has netted thousands of sockeye salmon over the past 40 years. Holly Parker loves the fast-paced and exciting world of fishing. 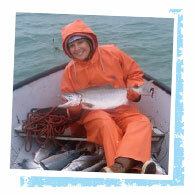 She uses a set net with gill net to catch the freshest salmon in the waters of Alaska. Holly learned to fish from her parents who have been fishing more than 35 years! 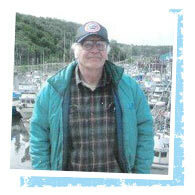 Steve Vanek has been fishing the Cook Inlet area since 1975. At 70, he is still actively involved in fishing. His son and grandson are also fishermen, which makes three generations fishing for salmon in Alaska. 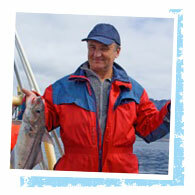 As a fisherman he takes pride in delivering quality product to the consumer. 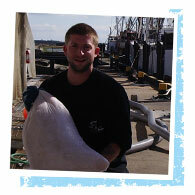 Noah Schriber is the captain of the Tenacious and a top producer dredge scalloper. With 10 years of commercial fishing experience, Noah makes sure that our scallops are hand shucked, cleaned and packed to our specifications within hours of harvesting. Farmer Jenn Hutchison has worked in aquaculture for 10 years and currently raises Atlantic salmon at the Long Island farm site off Grand Manan, New Brunswick, Canada. As caretaker of this farm, it’s Jenn’s job to make sure the fish are living in top-notch conditions. 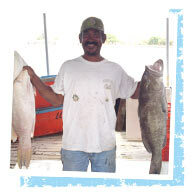 Thanks to fishermen like Dumitru Mocanu, Harris Teeter is able to provide you with the best seafood available. 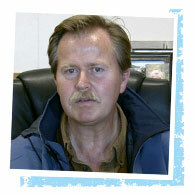 Dumitru is from Romania and has worked for True North Salmon Harvesting in Canada for the last three years. Smith & Sons owns The Amazing Grace shrimp boat, fishing waters from North Carolina to Florida in the Atlantic Ocean. 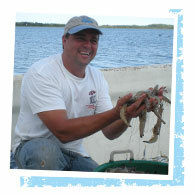 With a hands-on fisherman like Big John (Smith) we always know that we can count on the freshest shrimp available! 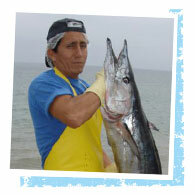 Isidro Barros has been catching wahoo all his life. The fish he’s so proudly displaying weighed 82 pounds and was caught 35 miles east of Manta, Ecuador. 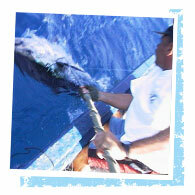 The wahoo are caught one at a time, using circle hooks, which minimize by-catch, at a depth of about 100 feet. Felipe Hudarto catches yellowfin tuna out of the clear, blue water of the Humboldt Current, 27 miles west of Manta, Ecuador. Originating in Antarctica, the current is ice cold and rich with krill and plankton, meaning the fish found in it are fat with feed – and we all know that fat in fish means flavor. Experienced fisherman Vicente Fernandez has been catching grouper since he was a boy when he went in his father’s boat with him. We are proud to partner with Vicente to bring you the best quality seafood. Donald Owens, captain of the Dee Dee Sue, has been hooking fresh catch for more than 28 years. Experienced fisherman like Donald provide Harris Teeter with the freshest crabmeat available. 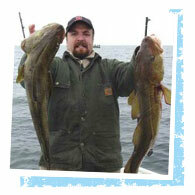 Sean Bergen fishes cod out of Boston using diamond jigs. His day begins at 3:30 am when he leaves Boston Harbor in his 25 foot dory and heads north toward Cape Ann. The flowing current and chilly waters are great for catching the highest quality fish that quickly end up at your Harris Teeter. The O’Maras have been fishing since the early 1900s, with Jimmy O’Mara continuing in his family’s footsteps. 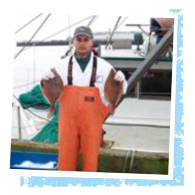 He provides Harris Teeter with fresh flounder fillets caught in the Massachusetts Bay. Manny Rezendes in his boat, Teresa R., line-fishes and catches cod and haddock for Harris Teeter in the frigid waters off the New England coast. His home port is Boston Harbor. Atlantic Capes Fisheries, Inc. harvests scallops and other seafood from the cold, fertile waters of the North and Mid-Atlantic. We are proud to partner with this industry leader in conservation and sustainable management. 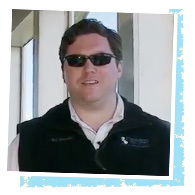 Brian Kelly, Patricia Restrepo and Carmen Vega work for Fresher Than Fresh right outside of Charlotte, NC, and provide us with certifiably fresh, never frozen crab cakes, taking the hassle out of your dinner plans! 3 fish, Inc. has been a partner with Harris Teeter for more than 15 years. With more than 100 years of seafood industry experience, 3 fish, Inc. maintains a focus on quality, accountability, consistency, and unsurpassed customer service. 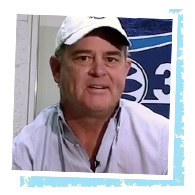 3 fish, Inc. supports responsible fisheries and farms that operate under integrity and rigorous government standards in order to provide the highest quality seafood products to you and to your Harris Teeter! When it comes to growing trout, Shelburne, Nova Scotia’s John Garland and his crew are among the very best. In fact, they even have a trophy to prove it. John and his crew are the 2010 recipients of the highest honor that Cooke Aquaculture awards to its fish growers -- the Platinum Scale Award. The prestigious award recognizes the crew that not only produces excellent fish but that goes above and beyond to do so! Cherrystone Aqua Farms loves shellfish! 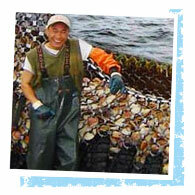 For more than 115 years they have been producing the best farm raised clams and oysters in the world. Today, the fifth generation of the Ballard family is still producing great shellfish, and their reputation for quality, consistency, and service is unsurpassed. Harris Teeter is proud to provide Cherrystone Aqua Farms products to our shoppers and proud to call Cherrystone one of our local neighbors!